Saturn's return looms over NAO's second album, an astrological phenomenon occurring in one's late 20s, when a monumental shift occurs. On Saturn, the London-based singer-songwriter delves into the difficulty and ecstasy of reasserting one's identity, pushing her sound into new realms. "Make It Out Alive," a moody, beat driven duet with SiR appears to set the tone of the album — but don't be fooled, this is just one side of the eclectic vision NAO brings forth. Her and SiR's harmonies coalesce, as a pensive, bass-led chorus spills forth: "Fall too deep, too deep to get outta here…"
Dreamy production abounds on Saturn, heard on "If You Ever," a rhythmic, earnest invitation to a lost love. Strings and harp inflections elevate the track, which relies on the genuine feeling and sweet tone of NAO's voice. She uses interludes on the album, mirroring a technique used on her debut, For All We Know — in this instance, the concept of Saturn's return is explained amidst radio feedback and otherworldly sounds. 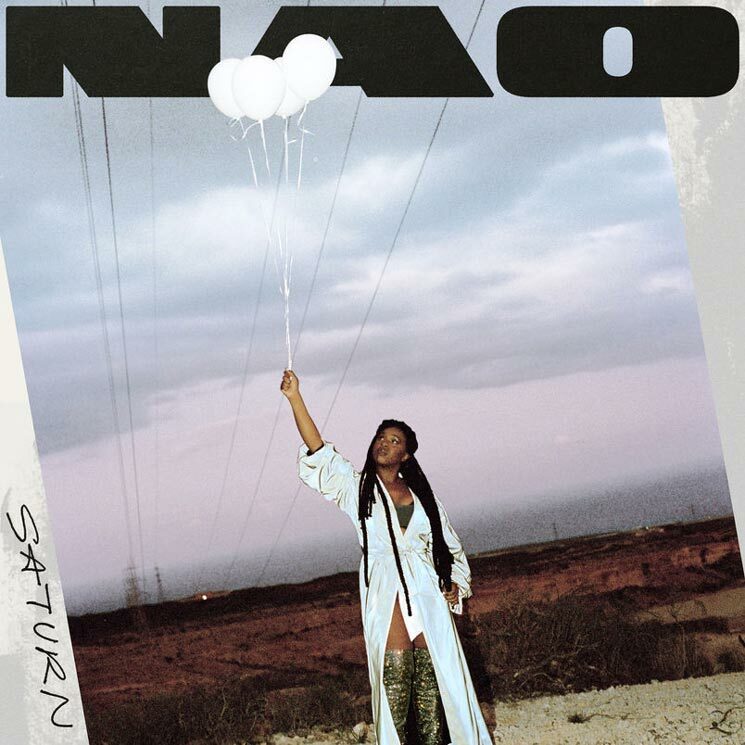 This cosmological theme continues throughout Saturn, as NAO creates a rich soul ballad on the title track (featuring Kwabs) and experiments with vocal effects on "Orbit." "Drive and Disconnect" is Afrobeat-influenced with a dark edge — its cyclical rhythm is sure to remain in listeners' heads — while "Curiosity" satisfies as a certified slow jam. Transcending this world, "Yellow of the Sun" blends funk and escapism, as NAO imagines a Thelma & Louise-influenced vision: "Let's drive right off this canyon, into paradise."